Unfortunately, some pregnancies do not develop correctly (the percentage increases with maternal age). 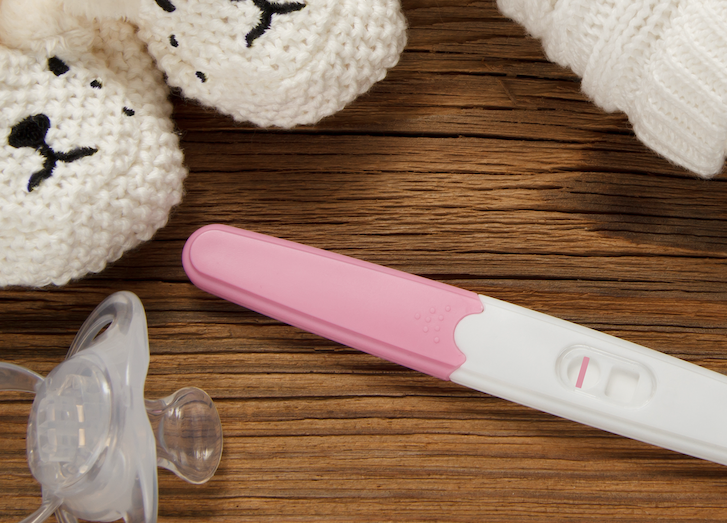 A miscarriage occurs when the body spontaneously terminates a pregnancy. The usual symptom of a miscarriage is bleeding; however, only about half of the episodes of bleeding during pregnancy are actually miscarriages. Many women experience at least one miscarriage during their lifetime. Sometimes, it happens so early the woman doesn't realize she was pregnant, and assumes it was just a late period. Miscarriages early in pregnancy are generally a result of genetic defects in the embryo and thus prevent the birth of severely affected children. At times, they are due an arrest of embryonic development (often called a blighted ovum). Miscarriages later in pregnancy are more likely to be associated with problems in the uterus or the placenta. In general, one or two miscarriages, although emotionally painful, are not seen as a cause for medical concern. When there are repeated miscarriages, generally defined as three or more, medical examinations are done to see if there is an underlying, possibly treatable, cause. When a miscarriage occurs early in pregnancy, the process can generally be completed naturally without medical intervention. In some cases, especially if the miscarriage occurs later, a dilation and curettage (D&C) or medication may be recommended. It is legitimate for a woman to ask her physician whether the medical procedure is definitely required, or whether it is possible to wait for nature to take its course. With this information, she can decide which option is physically and emotionally easier for her. At times a woman will have no bleeding but discover on ultrasound that the fetus is no longer alive. This is often called a fetal demise. If this happens, medical termination of the pregnancy will generally be suggested. From a halachic perspective, it is important to confirm such a diagnosis. Many halachic authorities require at least two separate tests to confirm the demise before allowing this procedure. If the fetus is alive but seems to have a severe defect, then an individual halachic question should be asked. At times, a pregnancy develops normally until term and yet the fetus dies in utero. This is known as a stillbirth. The delivery is generally similar to that of a live baby and hilchot niddah apply as after a live delivery. Either the natural bleeding of a miscarriage or the uterine dilation and subsequent bleeding from a D&C render a woman niddah. The taharah process is the same as for any time a woman is niddah. The five day minimum begins with the onset of the niddah status. After all bleeding has ceased, she performs a hefsek taharah, counts shivah neki'im, and immerses in the mikveh. If the miscarriage occurred more than forty days after a woman had last used the mikveh, then her status is similar to that of a yoledet (a woman who gave birth). She performs a hefsek and counts shivah neki'im as usual. If the gender of the fetus was not known, or if it was known to be a girl, she may immerse no earlier than the fourteenth day following the miscarriage. The amount of bleeding can vary widely, from the length of a heavy period to a number of weeks as after childbirth. Therefore, it is difficult to predict in advance when it will be possible to use the mikveh. It is probably easier to prepare for a long wait, and perhaps to be pleasantly surprised. The physician may allow a couple to attempt another pregnancy immediately, or recommend that they wait a certain period of time. Several factors will influence this decision, including how far along in the pregnancy the miscarriage occurred and whether a surgical procedure was performed. If a physician recommends short term contraception, the easiest method is spermicide. Spermicides are only about 85% effective – this is probably sufficient in these circumstances, but should of course be discussed with the physician. Spermicides are halachically permissible when contraception is allowed. Condoms are not halachically permitted for contraception. They are also no more effective than spermicides. The loss of a fetus can be an emotionally wrenching experience. The anticipation of pregnancy is suddenly replaced with grief, often accompanied by medical procedures and difficult choices. If the miscarriage occurs early in pregnancy, the couple may be grieving privately while the community remains unaware of their loss. If the pregnancy was already public knowledge, they may find themselves in the awkward situation of "breaking the news" when people ask about plans for the baby. A miscarriage is nothing to be ashamed of. Being open about it with others can help one get support. Openness also may give couples the opportunity to discuss what happened with others who have had similar experiences. After a miscarriage, a woman should give herself time to cry, to pray, to talk about her loss, to rest, and to recover emotionally and physically. The couple may find the restrictions on physical affection especially challenging during the time of niddah following a miscarriage, and will need to find alternative ways to express love and emotional support. It is important for husband and wife to understand respect that they may each have different reactions and needs during this time period. For many women, the mikveh immersion following miscarriage presents an opportunity for closure. A woman may choose to recite a personal tefillah during this immersion to mark what she has been through and to express her hopes for the months to come. We do not claim to know why God gives us these challenges. We do know that we can turn to Him and to each other for comfort and strength. 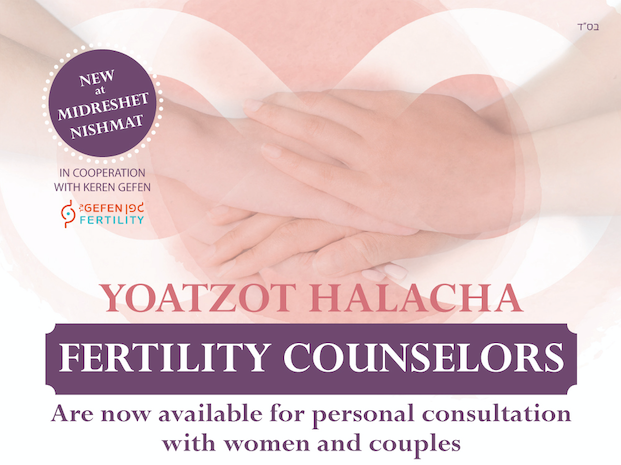 Additional articles and resources on pregnancy loss are available on the Jewish Pregnancy Loss website. Many of the organizations listed on our Fertility Resources page also offer support to couples experiencing pregnancy loss. From when to count 14 days?